The Snow Water Equivalent Synthetic Aperture Radar and Radiometer (SWESARR) is a new instrument designed to measure the water content in a snowpack. 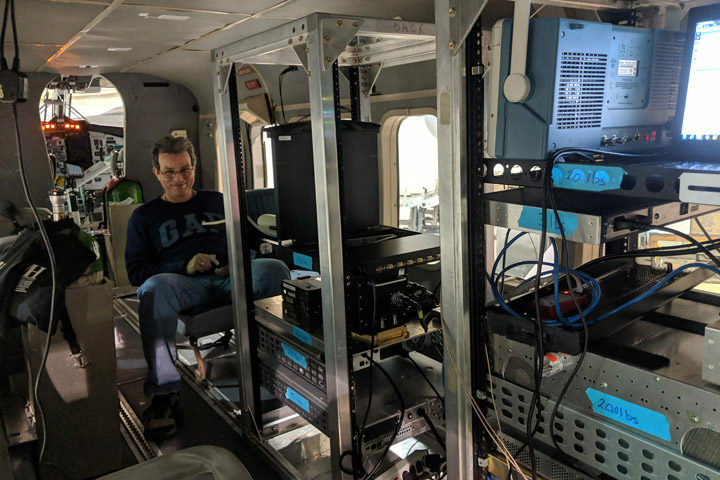 The instrument, developed at NASA’s Goddard Space Flight Center, uses active and passive microwave sensors to map the radio frequency emissions of the snowpack, which can then be turned into a measurement of snow water equivalent. 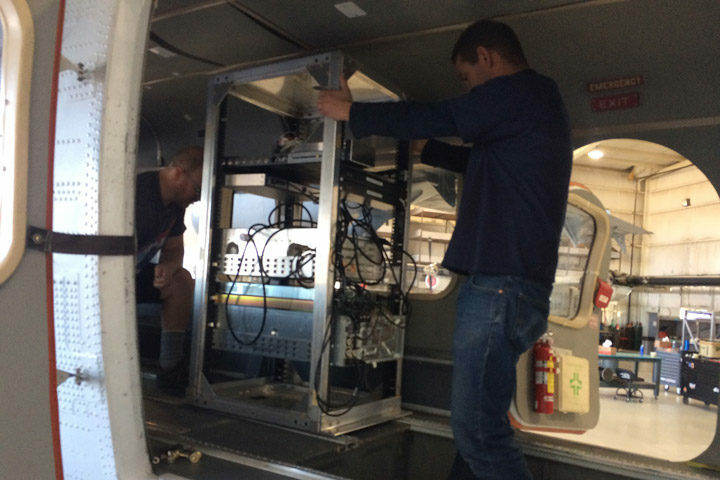 From November 25 to December 5, 2018, scientists and engineers are in Grand Junction, Colorado, where they are flying the instrument to study and validate its performance. 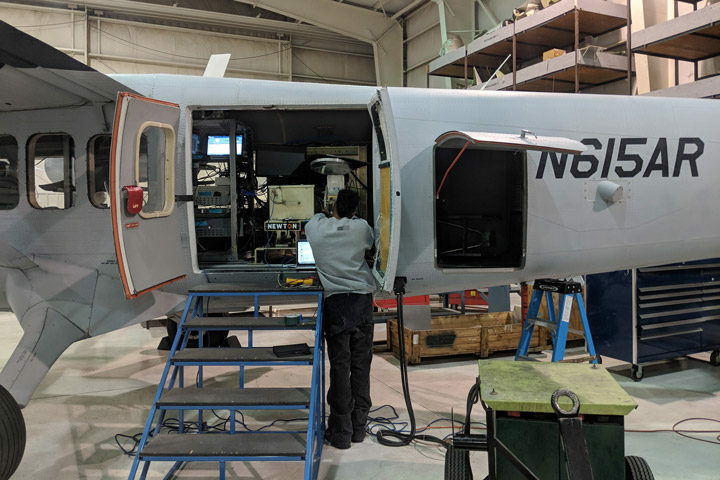 The SWESARR team and the aircraft techs at the Twin Otter International, Ltd. (TOIL) have been hard at work to get the instrument ready for flight. The integration started on November 26 with some of the team members flying out after the Thanksgiving holiday. Integration went smoothly with no major hurdles. Steve Seufert is helping install the racks onto the aircraft on November 26. The instrument is now fully integrated on the aircraft and ready to fly, pending approvals from the Langley Airworthiness and Safety Review Board. If the approval comes in on time, we are hoping to have our first flight this afternoon, as soon as the rain stops in Grand Junction. Right now, the team is making the final checks on the instrument and completing as much work as possible. Quenton Bonds is completing final checks on the SWESARR radiometer. Rafael Rincon completed the radar setup and is ready to fly! This entry was posted on Friday, November 30th, 2018 at 10:56 am and is filed under SWESARR: NASA’s Newest Snow Instrument. You can follow any responses to this entry through the RSS 2.0 feed. You can skip to the end and leave a response. Pinging is currently not allowed.